Game, Set and Match! Play against new-found friends during our social tennis weekend at our perfectly located hotel in picturesque Hampshire. Our venue boasts some of the best hotel sports facilities in the UK, with 5 indoor acrylic hard courts. Courts are booked for 4 hours on Saturday, and then 2 hours on Sunday, including an end-of weekend tournament. There will be plenty to discuss during our included evening meals. Win or lose, it's the taking part that counts! This package is for anyone who is competent enough to play in a doubles matches. 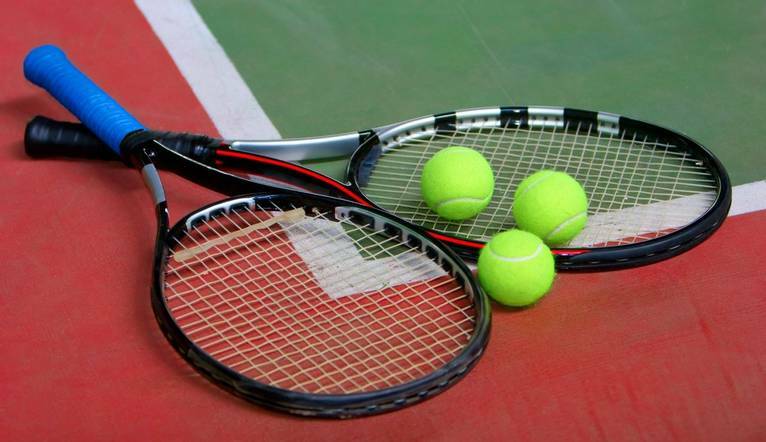 Get fitter with 2 days of friendly competitive tennis. Breakfast and dinner daily, plus half a bottle of wine, or soft drink per night with dinner. The hotel is located off the A33 on the outskirts of Basingstoke, a short drive from the M£ Junction 6 and the M4 Junction 11. Basingstoke station is 3 miles away. Complimentary car parking is available. This weekend is designed for those with the experience and confidence to dive straight into more competitive doubles matches. Courts are booked for 4 hours on Saturday and then 2 hours on Sunday, including an end of weekend tournament. Either tennis or casual attire during the day. Proper tennis footwear is required when on court. You may like to bring your own tennis racquet with you. Should you wish to take advantage of the hotel leisure facilities, remember your swimwear! Smart casual clothes will be ideal for the evening.